Courts have come to the rescue of lakhs of investors who face the prospect of losing their entire retirement savings parked in the toxic IL&FS bonds by their respective pension and provident fund trusts. 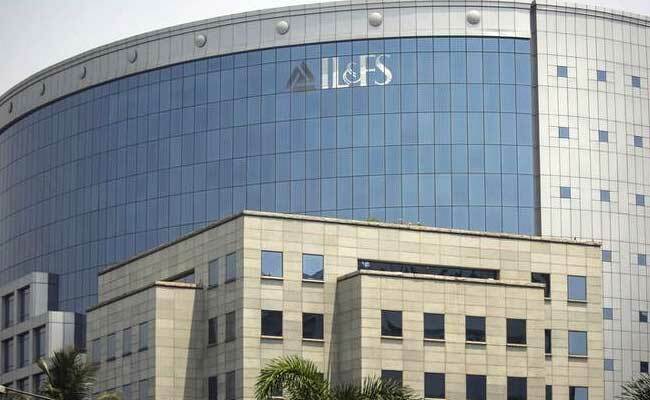 Sources said that the National Company Law Appellate Tribunal (NCLAT), hearing petitions with respect to IL&FS resolution, has now asked the new management of the insolvent company to provide it details of PF and pension funds investment in individual “amber” entities. Under the resolution plan, the government has categorised IL&FS group companies into “green”, “amber” and “red” categories based on their financial position. Firms classified as green would continue to meet their payment obligations, while the amber category firms can meet only operational payment obligations to senior secured financial creditors. Those under the red category are the entities which cannot meet their payment obligations at all. The move by the NCLAT, according to legal experts, should be seen as the court’s efforts to ensure that investments by pension and PF trusts is not lost in any resolution plan for IL&FS and that these get priority even when repayment start for amber grouped entities where firms are expected to meet only operational payment obligations. Thousands of crores of money of more than 15 lakh employees of both public and private sector companies has been invested in IL&FS bonds. As these investments were classified as unsecured debt, funds feared that all money would be lost if all market-related risks fell on them. At the hearing on March 19, IL&FS informed the NCLAT that out of its 169 domestic companies, 50 entities (earlier 21) had been classified as green, 13 (earlier 10) classified as amber, and 80 as red. The total outstanding debt of the 13 amber companies is Rs. 16,373 crore. As green group companies are meeting all their payment obligations, the fear of loss of investment in these entities is negligible. But PF and pension funds feared that all their money would be lost in amber entities. The NCLAT has sought details of all financial creditors having who have raised money from PF and pension funds and have exposure in amber entities. This will ensure that once asset-liability profiling of these group of companies is complete and the government and the new IL&FS management comes up with a repayment or resolution plan, dues to retirement funds is settled in full. As part of the process to bring amber entities also under the repayment cycle, the NCLAT on Friday heard the matter with respect of four such companies: Hazaribagh-Ranchi Expressway Ltd, Jharkhand Road Project Implementation Co., Moradabad-Bareily Expressway Ltd and West Gujarat Expressway Ltd. The appellate authority asked the government and IL&FS to submit asset liabilities of each of the four entities and also detail name and payment due date for each financial and operational creditor. NCLAT will take up the matter with respect to these four amber entities on April 8. For the remaining nine amber entities, the NCLAT has asked that a similar status be prepared and kept ready for taking up their matter subsequently. IL&FS is currently under resolution process at the National Company Law Tribunal (NCLT). The process will decide under Section 53 of the IBC the order of priority for distribution of proceeds of the process.